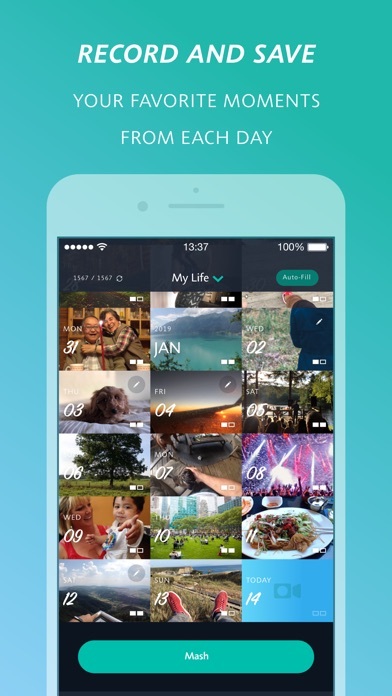 1SE is an app that stitches the moments of your life into a single continuous chronological movie. For over 4 years, I’ve been recording 1 second every day, so I’ll never forget another day ever again. 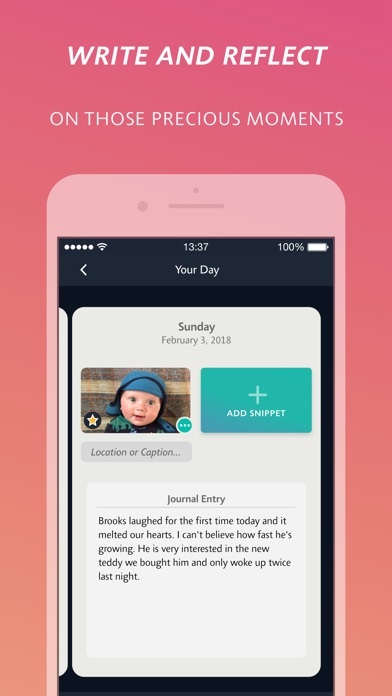 This project has had such a profoundly positive impact on my life, that I’ve passionately developed an App that will make it extraordinarily easy for anyone to do this too. Being able to quickly relive every single day of my life has provided me with a treasured perspective on life. It holds me accountable for making each day notable. 1SE is a minimalist video diary. 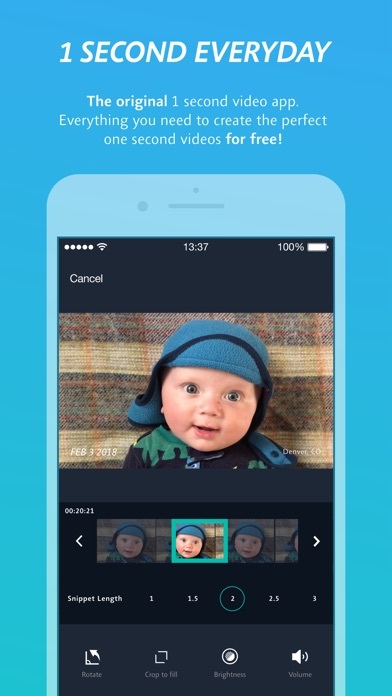 + The App accesses any videos currently in your camera roll & sorts them by date. + Setup friendly creative reminders so you never forget a day! + Keep multiple timelines! You could have one for yourself… for each of your kids… your dinner… what you wear every day… etc! + NEW! 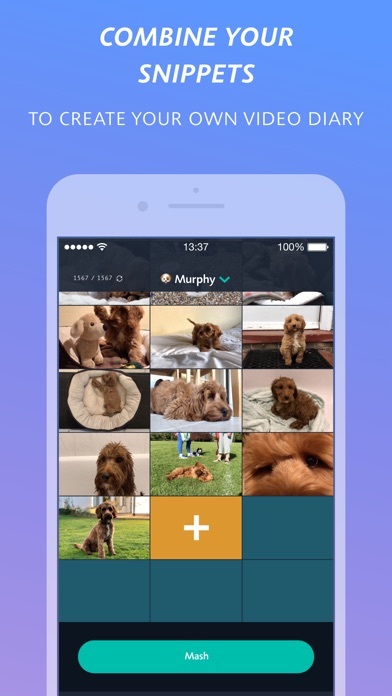 Turn your Seconds into Animated Gifs to instantly share! + 1SE Crowds! Submit a second from your life to videos made up from hundreds of us… Let’s view everyday life from countless of perspectives! + Super Seconds! It gives you an extra 50% more time when you need it!